Here is an exhibit that we have created for the Exploratorium Museum and the City of San Francisco. 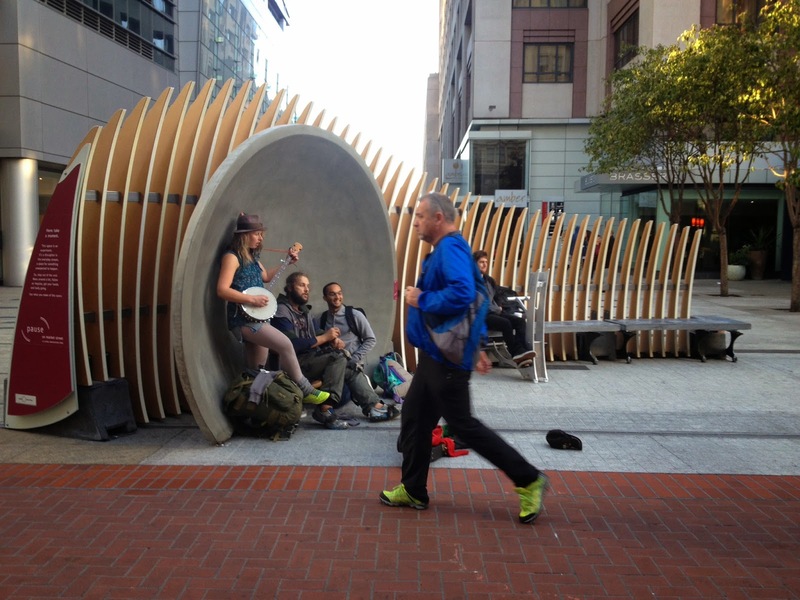 It is called “Whispering Dishes”, San Francisco’s first Living Innovation Zone, also known as LIZ. 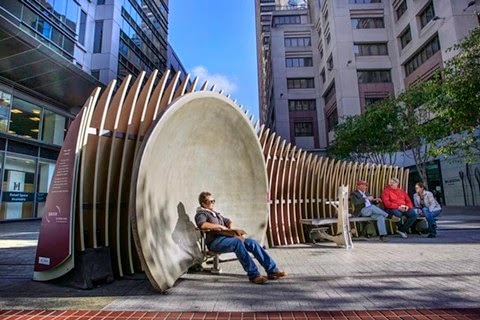 This exhibit is one of ten new Living Innovation Zones Exhibits that the City of San Francisco is planning on placing on the sidewalks, to serve as new dynamic and interactive public spaces. Those exhibits will connect visitors, innovators and the City of San Francisco to facilitate visitor’s exploration and hands on science and technology, while revitalizing the city. 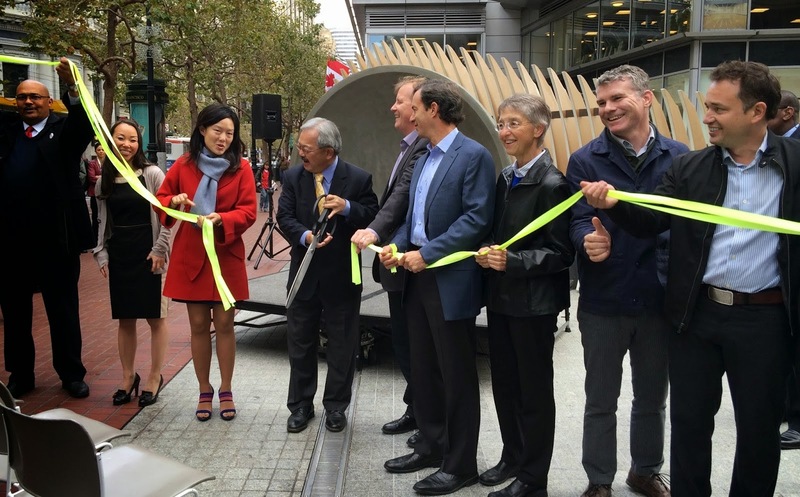 This first LIZ exhibit, which we took part in its fabrication, was placed on Market Street, next to Yerba Buena, and was launched October 29, 2013. 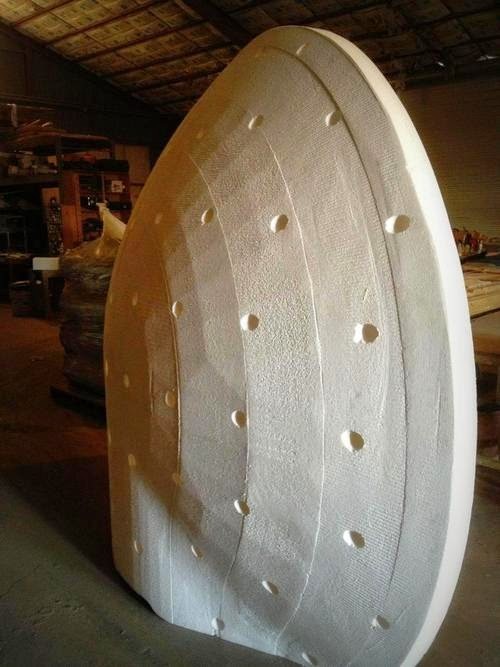 We machined the “dishes” from high density Expanded Polystyrene foam (EPS) using our CNC router. Each dish was 9ft tall. The project was made in five layers. Each layer was 7” thick. We machined (milled) both the top and the bottom of the dishes. To finalize the foam cutting and machining stage, all layers were glued to one another to create the full display. We made 3" holes to secure the two sides of the concrete that was to be put on top of the foam. 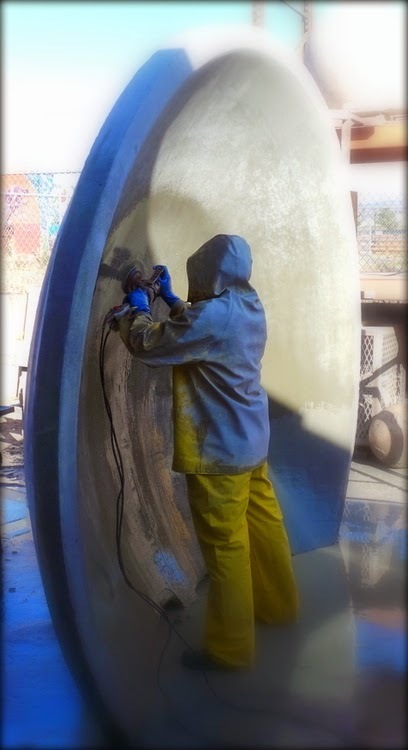 The foam was then sent to Concrete Concepts & Design, in Richmond, CA owned by Mr. Heriberto Esquivel. Heriberto sprayed concrete on top of the foam, making each layer of concrete 3" thick. 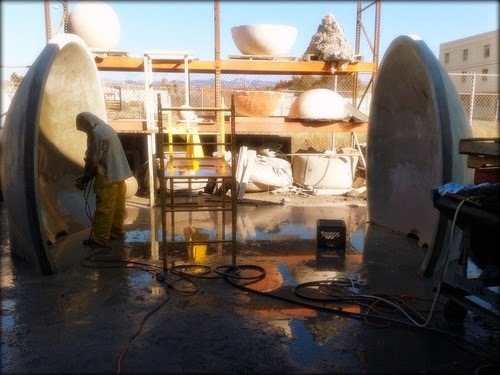 The end product is two 9 foot tall dishes facing each other, being 50 feet apart, with standing geometric layers between them. The structure is made so that people standing on each side of the dishes, whispering will be able to hear each other, even with the heavy street noise. This was a very interesting and unique project for us and we were thrilled to be part of something so modern and innovative. This was one of the more fun projects we have had the pleasure of creating. It was also great working with Mr. Jesse Marsh from the Exploratorium and with Mr. Heriberto Esquivel to see how it all came together in a collaborated effort.